Consistent exercise has proven to achieve better symptomatic control than any medicine currently on the market. Going forward, research will establish which combinations of exercises, performed at what intensity (raises your heart rate and makes you breathe heavily), frequency, and duration provide the most bang for your buck. Some experts believe exercise may even slow disease progression. We will examine exercise-induced change in motor control using quantitative measures of motor disability, including dynamic gait stability measures. 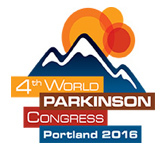 We will also examine exercise effects on central and peripheral indices of Parkinsonian motor disability. A caloric "dose-response" effect of exercise would suggest CRF is a major determinant of the anti-Parkinsonian effects of exercise. If the Chinese modalities are as effective or superior to AET however, this would suggest that other mechanisms such as change in central motor programming may be playing a role (e.g. relaxation effects, reinforcement of central motor programs?). A better understanding of exercise-induced neural plasticity and motor control would offer a significant, and heretofore unexploited rehabilitative potential in PD. This study is designed to compare the initial (six months), and then long-term (2 years) effect that 2 different exercise programs (progressive resistance program or flexibility program) have on neuro-physiological, motor, functional, and quality-of-life issues in individuals with Parkinson's disease. The purpose of this study is to investigate how PT intervention should be delivered to patients with chronic neurologic disease who also have other problems. The investigators will using elderly people with PD who have one or more co-morbidities associated with PD and/or aging. Sixty people PD and co-morbidities will be randomized into 1of 3 groups; home program, individual PT or group exercise class. Each of the 3 groups will be led by the same PT providing a novel sensory-motor agility program developed by our laboratory. All groups will perform the same type of exercises 3 X/week for 4 weeks. The purpose of this study is (1) to provide quantitative information of the motor manifestations of Parkinson's disease and (2) to quantify the effect of high intensive antigravity locomotor exercise or Deep Brain Stimulation implantations in Parkinson's disease. Balance control, physical activity and health related quality of life will be assessed before and after a 12 weeks training program as well as 6, 12 and 24 months thereafter in 150 elderly (>65) with balance problems (75 with osteoporosis, 75 with Parkinson's disease). Subjects will be assigned to 3 groups: balance training, balance training and Nordic walking, or control group. The training will be progressive and specific to functional balance tasks, performed on 5 levels, and incorporates dual task exercises (directly related to an increased risk of falling). Clinical and laboratory gait and balance measures as well as questionnaires will be used to assess physical function and quality of life.